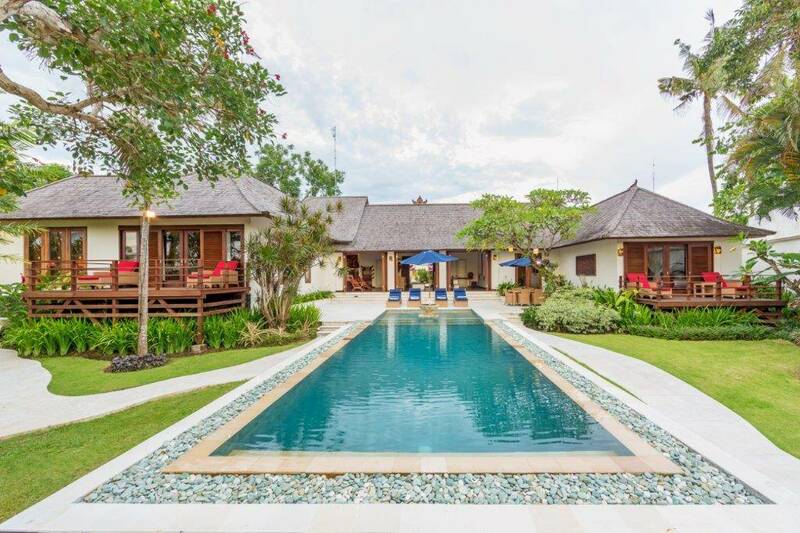 Situated on the edge of the peaceful Traditional Balinese Village of Babakan, the recently completed 364 Villa offers unsurpassed tranquility and rice paddy views in the Canggu area of Bali's West Coast. 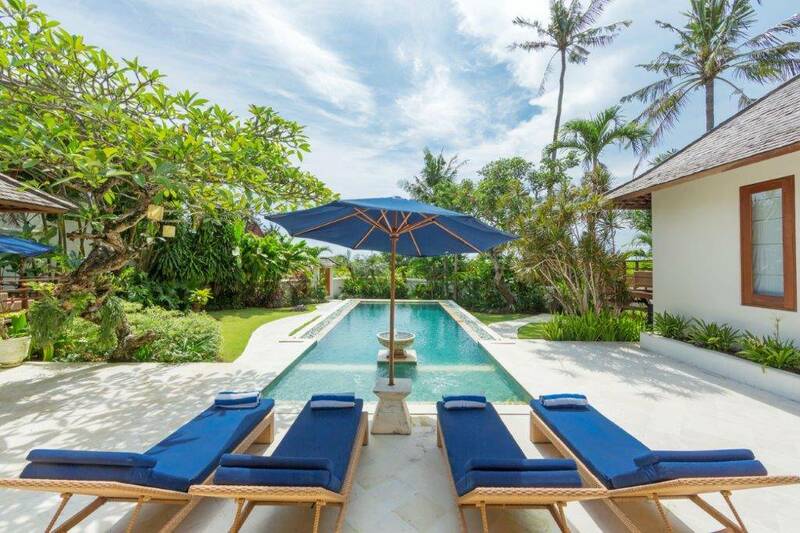 The Villa 364 is totally secluded from the bustling tourist areas but is only a 10 - 15 minute drive to the excellent restaurants in the Seminyak area such as Warisan, La Lucciola & Ku de Ta. 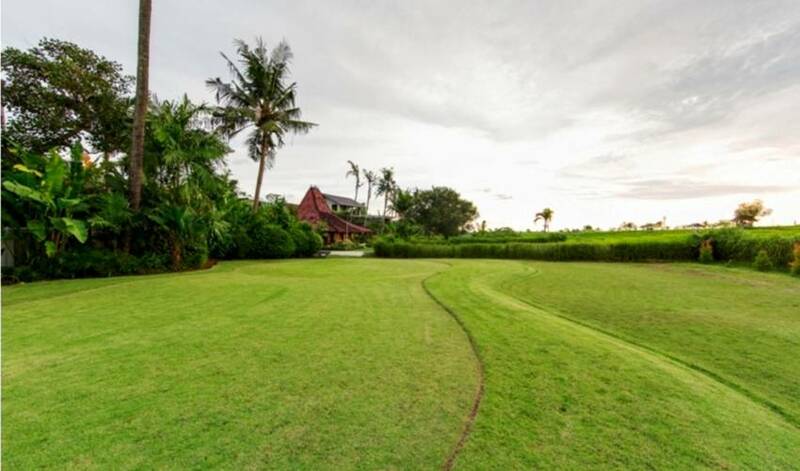 For Golf enthusiasts, it is only a 15 minute leisurely drive to the word renowned, Gregg Norman Designed Nirwana Golf course. 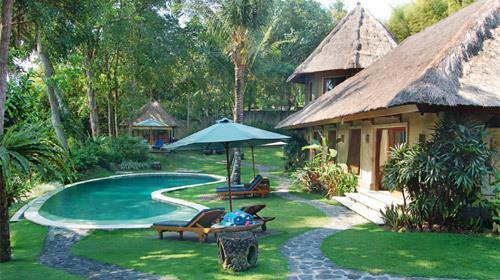 The airport is a 35 minutes drive to the South and the Echo Beach surf location is only 2 kms away. This large 4 bedroom villa situated on a 1300 sq m on the edge of rice terraces has been designed so that guests can enjoy the unsurpassed views from almost the entire villa. 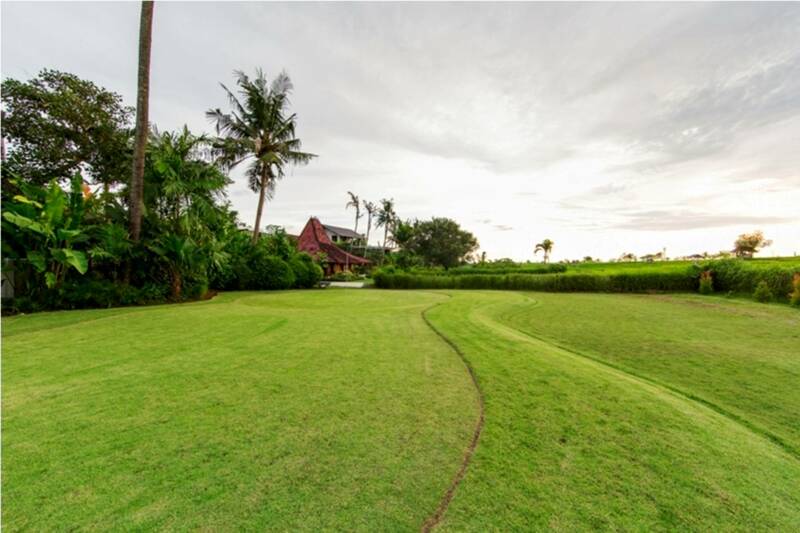 The stunning 18m x 7 meter split level living / dining area has been designed for relaxation and entertainment and provides optimum enjoyment of the unsurpassed Rice paddy and unforgettable Sunset views. 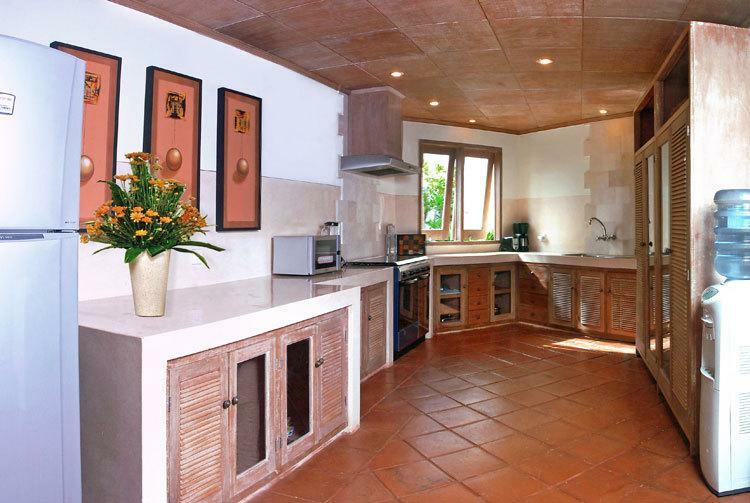 This area with its high Alang-Alang traditional ceilings, the cool terracotta floor tiles and natural cream walls is the very essence of tropical living. Overhead, gun-metal coated Ceiling fans and the gentle breeze blowing in from the rice paddy ensure everyone is kept cool. Ample seating is provided in the lounge area so everyone can relax in and listen to the excellent surround sound speakers discretely hidden in the ceiling. The dining area houses a solid wood Dining table that comfortably seats 8 with adjoining bar to enjoy that pre dinner cocktail. 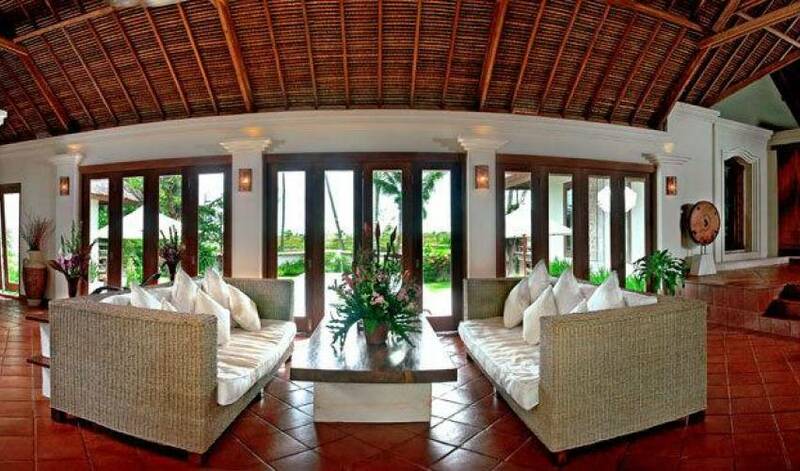 The villa has been designed with traditional Balinese building materials with high vaulted Alang-Alang Ceilings, "BenKiri" Wooden floors and Balconies, Teraso Open air bathroom and walls adorned with colorful local Balinese artwork creates a refreshing Tropical environment but offers the discerning traveler 5 Star accommodation and service. The villa also has a fully functional office located off the Master bedroom which offers broadband email connection should you need to catch up with emails whilst the rest of your party and family can relax and enjoy the villa. 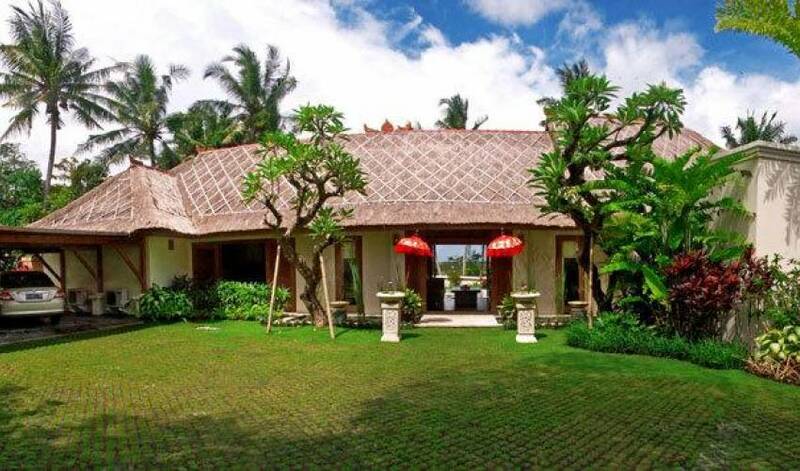 The villa has a large Master bedroom suite with 5 x 5 M Master bedroom with adjoining office, large Master Bathroom and Private Garden with its own relaxation Bale looking out to the idyllic rice field view. Both the Master and Guest Bathroom have fabulous rice field views with large Glass and louvered sliding doors opening out to large balconies that allow guests to enjoy an early morning coffee watching the local villagers tend the rice fields or enjoy a quiet evening drink watching the fabulous red sunset over the west Coast. 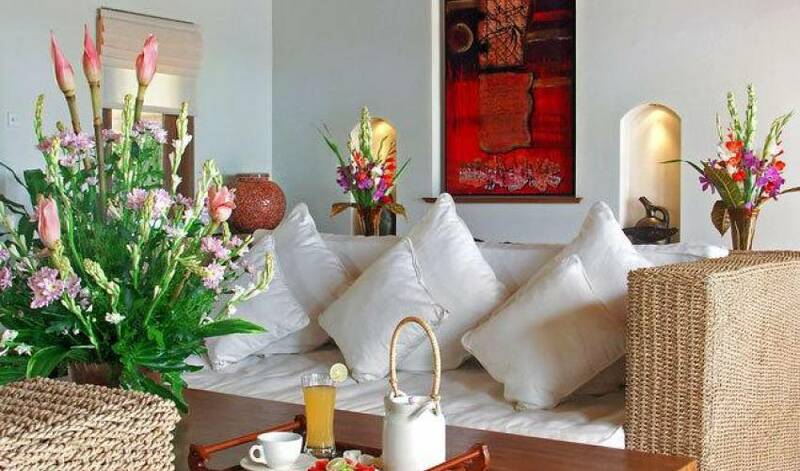 High Alang Alang ceilings and the cool and clean feel of the Traditional BenKiri floors have been used throughout the Master and Guest Bedrooms. All Bedrooms have individual deluxe split air conditioning units. These two rooms have oversized king size Four poster beds and ample wardrobes and drawers for storage... 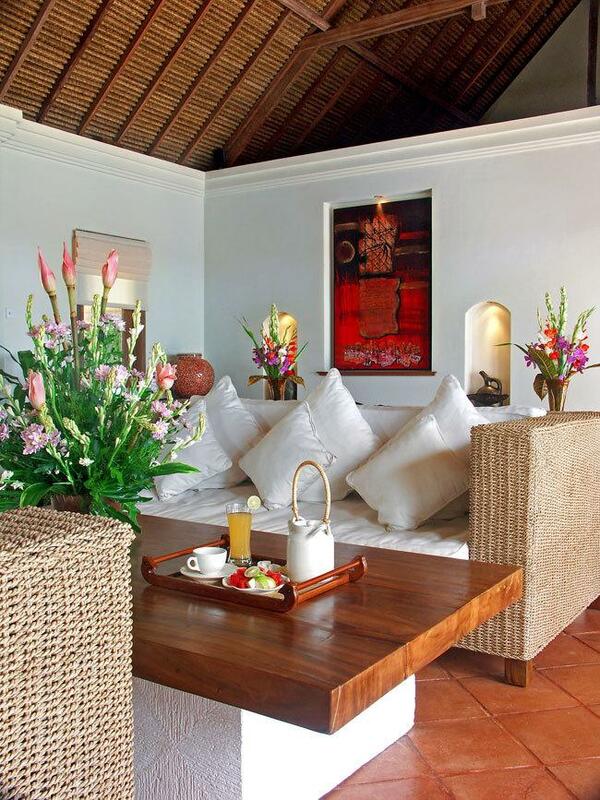 The Bedroom interior has been very tastefully furnished with a balance of teak and modern rattan furniture and artifacts. he quaint junior bedroom, located at the rear of the bedroom wing, features two built in single beds on cream terrazzo bases and opens out to a small private rear Garden with Frangipani tree. The junior bedroom features high Alang Alang ceilings and individual Mosquitoes nets over both single beds. 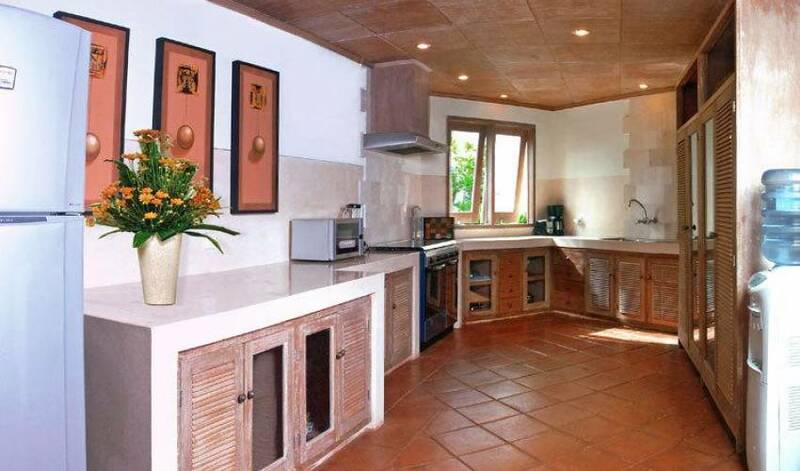 The Bathrooms have the tropical feel of cream terrazzo vanity with lime washed doors and cabinets with a very effective Benkiri wooden floor with Palimanan surround in the Master Bathroom and terracotta floor tiles in the guest and Junior Bathrooms. Two of the Bathroom features large Cream Terrazzo Bathtubs. The bathrooms also feature the highest quality European fittings & fixtures. Piping Hot water is piped to all the bathrooms with a pressure pump ensuring that you receive a high pressure hot or cold shower to start of your tropical day. All the Bathrooms have the charm of being indoor and outdoor in design and have feature Palimanan carvings and Cream Terazzo vanities. 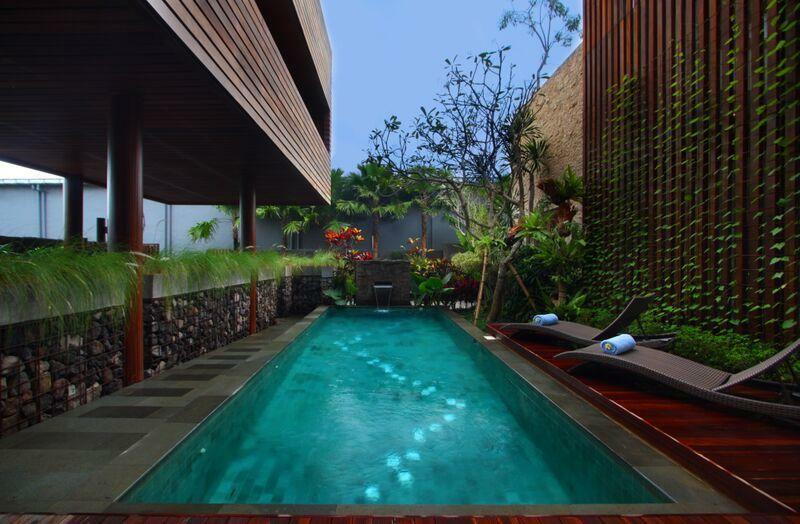 The Master Bathroom with its double vanity, King Size Bath and opens over white palimanan steps out to a Private Garden with its own Bale for Relaxing. • In house Dining Menu prepare by staff. • Floodlit Golf Chipping and Putting Area.